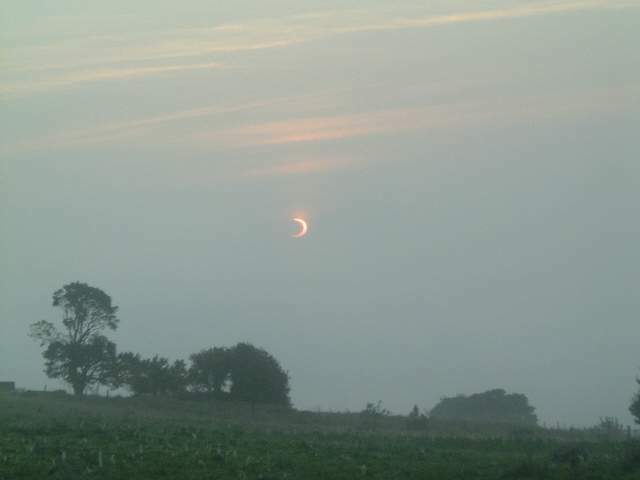 Photo taken by Steve Cormack on the Sutor at the eclipse, 31/5/03. He was watching the full eclipse, so we don't have any photos of that, but these were about twenty minutes later, say 5 am, when the clouds cleared for a moment. See also picture #378. I'm not quite sure how this picture was taken! I was there, together with about 200 other people. the only thing I can think of is that they are hiding in the grass.